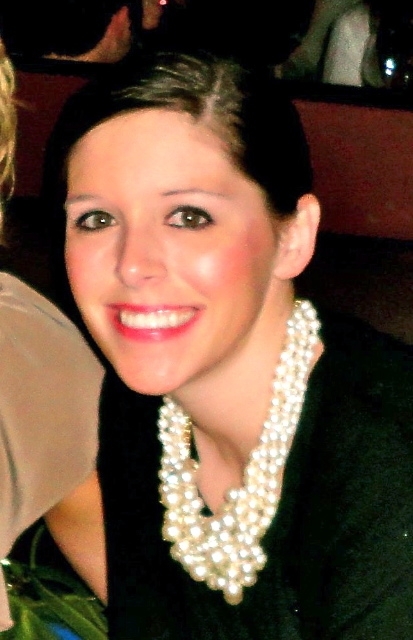 Catie McLaughlin is a third-year Cooley student on externship with a law firm this term. She keeps a journal of her experiences. In this post, Catie notes an important way her externship has changed her. During law school, I was always very confident. I always spoke up in class and I always got good grades. I was very outgoing and competitive. The very first day of the externship, I was scared out of my mind – I didn’t want to be a bother, I didn’t want to be annoying, I didn’t want to ask too many questions. When I got to the externship, I felt like my demeanor immediately changed. I became meek, self-conscious, and I started to question the quality of my work – something I never did before. I have noticed since the beginning of the externship that I have become much more assertive when it comes to asking questions and making comments to other attorneys. It’s almost like I went back to how I was before the externship. Before, I cared so much what everyone thought about me – whether they thought I was stupid, or my idea was silly, or my comment was irrelevant. Now, after I have had several repeat assignments from the same attorney and a lot of “good jobs,” I feel like my confidence has come back. Thus far, I have learned that a lawyer is much, much more than a law student who got good grades. A lawyer has to be sensitive to the needs of the client and the needs of the opposition. A lawyer needs to be creative. A lawyer has to be able to put herself in the shoes of others. A lawyer has to have perspective – not just hers, but must be able to look at the perspectives of others. To be all of these things, an attorney has to speak up and not be so afraid of what others think. At the end, I’m glad I did because I am getting much more out of the experience than had I kept my mouth shut. Cooley Law School’s intellectual property (IP) law curriculum has earned a top ranking in a recent independent report published by researchers at the William Mitchell Law School. The Mitchell Report on Intellectual Property Curricula ranks the strength of the IP law curricula at all 222 U.S. law schools. Cooley’s IP curriculum ranked first nationally in IP courses and second in number of IP course categories. Michael A. Sobel and sons. Last evening a warm ocean breeze gently swept across my cheeks. It helped to ease the potent humidity by taking regular sips from my glass of cool chardonnay. I watched a flock of pelicans flying just above me in precise formation as I picked up a stack of old reading material, including several Cooley Benchmark Column publications. It was disheartening to read that so many alumni from my era had died. I think I enrolled in the Clark Class but graduated early with the Weist Class (1979). Things have been busy, so I have not been back to visit Cooley since graduation day, over 32 years ago, but fond memories have survived. I earned the Book Award in Dean Krinock’s Professional Ethics class, and maybe also a top grade in young Professor Weiner’s Criminal Law class. There was also a really nice guy teaching first year Contracts named Otto Stockmeyer. Glad to see he and Professor Weiner are still there. Professor Rooney, a Harvard Law graduate, in freshman year Property class laughed with sinister joy after giving a midterm exam on material that he assured us would not be on the test. Looking back, he was right: getting blind sided did help prepare us for the often grueling pursuit of justice and practice of law. And then there was Professor Don LeDuc in first year torts and Professor Needham who taught Civil Procedure; these may have been my two worst grades. So ironically, of course, I have enjoyed over 32 years of successfully practicing torts and civil litigation. Truth be told, they were all great teachers, and a relatively new Thomas M. Cooley Law School, lead by Justice Thomas E. Brennan, really did prepare me well for a lifetime of fulfillment in the law. So now, with much pride as a father and lawyer, both of my sons have decided to join and expand my practice. 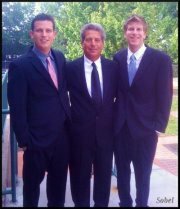 The Sobel Law Firm: Two Generations – Committed to Personal Service. Helping one client at a time. Never any advertising, just word of mouth and hard work. Thank you to Thomas M. Cooley Law School for giving me the skills and opportunity for a very good life as part of an honorable profession. Please know that at least one alumni law practice is booming in Pompano Beach, Florida, and not all the graduates from the early days are dead. 🙂 I will update you again on our firm’s progress in another three decades. Michelle Zurcher is a student in Cooley’s Australia Study Abroad Program. This is her second posting from Down Under. I thought when I went to the Outback restaurant this past fall in Michigan that it would really help me know Australians. I also thought the highest earning Australian movie – “Crocodile Dundee” – was going to be right on point with each Aussie I met. Just so you know, I have never seen a crocodile wrestler, nor have I seen Paul Hogan in person. When I arrived in sunny Sydney, however, I realized that I was wrong about what I knew before coming to AU. Here is why I was wrong…. So why are Australians so happy? Maybe it’s the strong sun light beaming down on the hot street pavement. Perhaps because Aussies seem fit and eat healthy fresh fruits and vegetables from the busy Queen Victoria Market. I mean, Australians don’t even have movie theatre butter to squirt on their popcorn! 1. “Bloke.” That’s a male. 2. “Sheila.” That’s a female. 3. “Mate.” That’s generally a male, but could also be a friend. 6. “Lemonade” is not what the eight-year-old is attempting to sell in your residential neighborhood. Lemonade is “Sprite” pop.